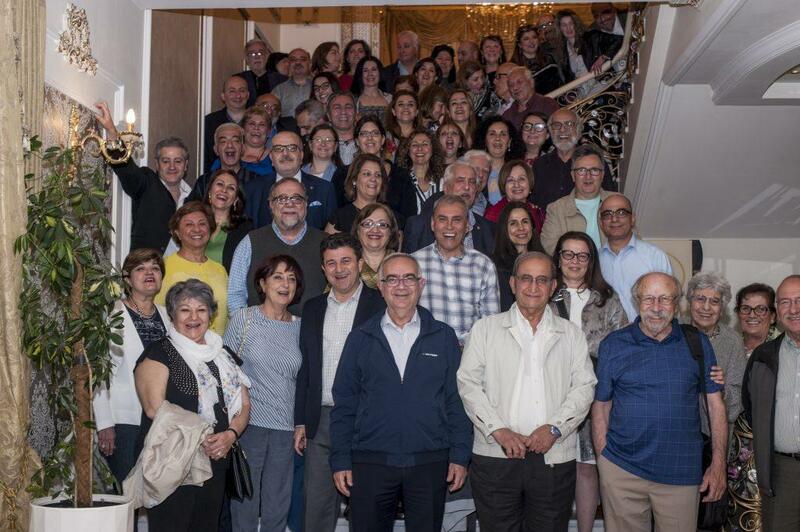 The Hamazkayin Armenian Educational and Cultural Association convened its 8th Assembly of Delegates at Ani hotel in Yerevan, on 19, 20 and 21 May 2018. The delegates from 15 regions, ARF Bureau representatives and invited guests, Homenetmen and ARS Central Boards’ representatives, and the Heads of Hamazkayin institutions and offices participated in the meeting. The participants observed a moment of silence for those Hamazkayin members who had passed away within the last four years. During the three days, the Assembly examined the retiring Central Executive Board’s four-year activities, and confirmed with satisfaction that there had been an unprecedented expansion of Hamazkayin's activities. During those years, the Association established the new chapter of Hamazkayin Kuwait, Artsakh and Javakhq Hamazkayin offices, and the offices of Hamazkayin Fund in North America. The three chapters of Hamazkayin North America jointly established the Hamazkayin Youth Network (ArtLinks), and according to the same model, Youthlinks Europe Forums were established in Europe. Pakin Periodical’s new editorial staff updated the content and appearance of the magazine. In the field of education, the Targmanchats College of Issy-les-Moulineaux affiliated with Hamazkayin educational institutions. The Association published the series of Lala and Ara children's games, and the Armenian Language Teacher Training Program with Yerevan State University gave its first graduates. Another occasion for appreciation was the construction of Raffi and Anelka Arslanian up-to-date kindergarten, affiliated to the Arslanian Djemaran. The Assembly emphasized the importance of furthering this project's future growth. It also acknowledged the publication of George Sarkissian’s translated scenarios as an important accomplishment. The construction the Norsikian kindergarten's playing ground was assessed positively too. The Assembly also touched upon the wills of Kourken and Margaret Asadourian and Azniv Parounagian. For the next 2018-2022 years, the Assembly formulated a common framework for the Central Executive Board’s activity, particularly the subsequent steps of the new Hamazkayin h-pem platform, which aims to engage Diasporan youth in the many facets of Armenian arts and culture, the activities of the Hamazkayin Fund and Vahe Setian Publishing House, the Hamazkayin's activities in Artsakh and Javakhq, the preparation of databases of information and human resources, and the strengthening of regional structures. In 2018, the Hamazkayin will celebrate its 90th anniversary. Touching upon this event, the Assembly highly appreciated the Hamazkayin Central Executive Board’s initiative of transferring the 14th century’s 27 manuscripts to Matenadaran after Mesrop Mashtots. At the end, the Assembly elected the Central Executive Board for the period of 2018-2022.